National Security Advisor John Bolton has been holding a series of talks in Moscow with senior Russian officials including Foreign Minister Sergei Lavrov and Russian Security Council Secretary Nikolai Patrushev. Speaking in Moscow, Bolton said that Washington's sanctions against Tehran have had an impact on the global oil market, and that both Russia and the US would benefit from US sanctions policy. Saying that the US has increased its own oil production and exports, Bolton said that Russia too stood to benefit from the decline of Iranian output. "It's true that Russia as an oil exporter will benefit from rising oil prices. And we [also] benefit as oil producers. But in time, the market will level off," Bolton said, speaking to Russian radio station Echo Moskvy. According to the senior US official, US sanctions against Iran are aimed at putting "maximum pressure on Tehran to change their behavior." Commenting on other issues, including the possibility of another summit between Presidents Putin and Trump, Bolton said a one-on-one summit like the one that took place in Helsinki earlier this year was possible. Regarding claims of Russian meddling in the US elections, Bolton said he told his Russian counterparts that such meddling, if it took place, was unlikely to have had any real impact. As far as Russian-US arms treaties were concerned, Bolton said that Washington has yet to finalize its position on whether to extend the New START arms control treaty, and still has time to do so. Bolton met with his counterpart Nikolai Patrushev on Monday in Moscow for discussions on issues ranging from the possible US withdrawal from the Intermediate-Range Nuclear Forces Treaty (INF) to Iran, North Korea, Syria, Afghanistan, Ukraine and the fight against international terrorism, drug-trafficking and illegal migration. In addition to Echo Moskvy, Bolton also spoke to Kommersant, telling the Russian business newspaper that Washington has not yet decided whether it will deploy missiles in Europe if it goes ahead and withdraws from the INF Treaty. 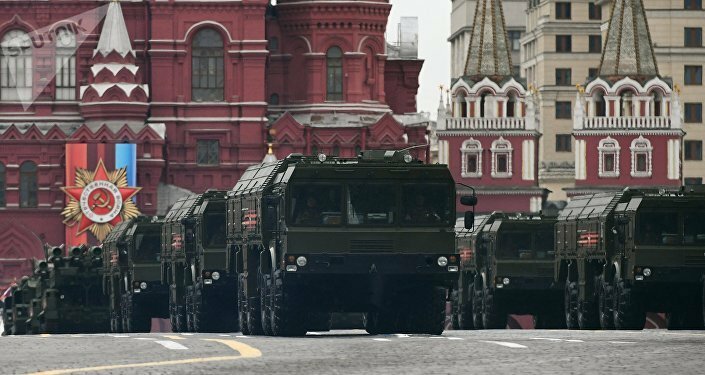 The US official also complained about the fact that China, another major nuclear power, is not a party to the INF Treaty, despite the fact that between one third and half of its ground-based ballistic missiles are in the short and intermediate range categories proscribed under the Russian-US treaty. Calling the INF Treaty an "anomoly," Bolton noted that while the treaty prohibits the deployment of US ground-based cruise missiles in Poland, it does not prevent them from being deployed by US ships in the Baltic Sea. At the same time, he complained about Russia's alleged violations of the treaty. On Saturday, President Trump announced that the US was considering withdrawing from the INF, a landmark 1987 arms treat aimed at reducing the danger of nuclear war in Europe. The announcement prompted Washington's European allies including Germany, France, Italy, and Spain to voice security concerns, with Russian officials warning that Moscow would do everything necessary to preserve strategic parity in case of a US exit from the treaty. President Trump unilaterally withdrew the United States from the Joint Comprehensive Plan of Action (JCPOA) Iran nuclear deal in May, and promised to introduce several waves of tough US economic sanctions against Tehran, including restrictions targeting Iran's energy sector and sanctions penalizing foreign companies doing business with Iranian energy firms. After the US withdrawal from the nuclear deal, Russia, China, and the European signatories to the JCPOA have scrambled to try to salvage the treaty. This has included measures to bypass the impending US energy sanctions, set to go into effect next month.